Right next door, on the other side of the Rhine with our French neighbors, they still exist, the little wild pass roads, which, in adventurous curves, turn up from the Rhine plain to the peaks of the Vosges. In fact, “over there” everything is still something more original, the streets are hardly frequented, the asphalt is more grippy, and the Riesling more satisfying. Not to mention the gravel roads that we built into our roller coaster tracks. 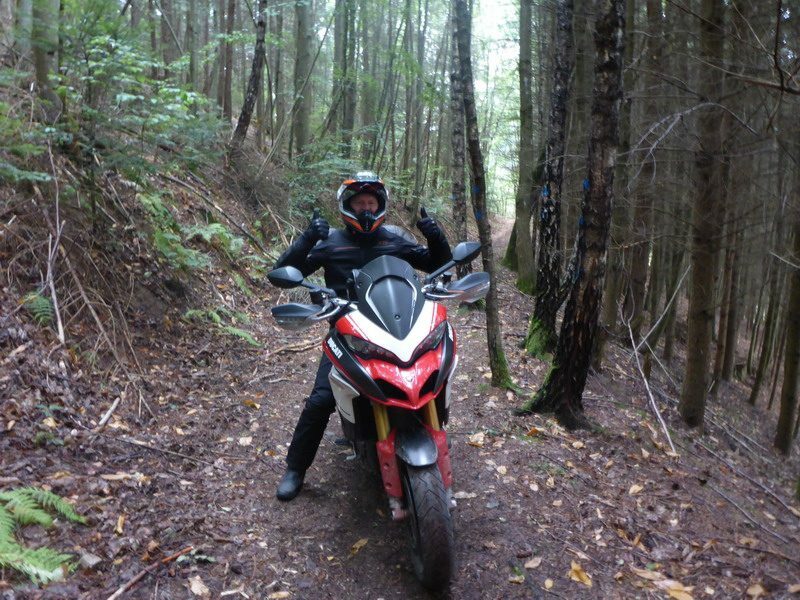 Here we speak of gravel, which is made for adventure bikes à la BMW GS, KTM 1190 or Honda Africa Twin. By the way, the first scramblers have already been part of the game! 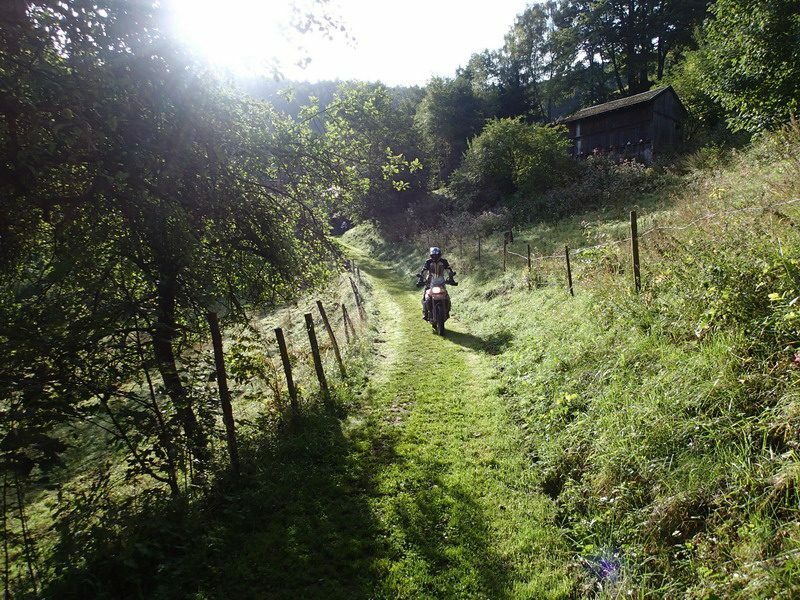 The off-road share is 35%, but you should not underestimate what is happening on the road. Because of the approximately 150 to 250 kilometers per day, almost no one just goes straight. You have the choice: navigate yourself or follow the tour guide. Arriving until 9 o’clock, say hallo, short roadbook introductory course, then start of the first stage. From our base hotel in the Central Vosges we wind along small and very small streets, along the west side of the “Vosges du Nord”, which is hardly frequented on weekdays. There are famous names such as the Col du Bonhomme, the Route des Crêtes, the Col de la Schlucht, but also some gravel roads. 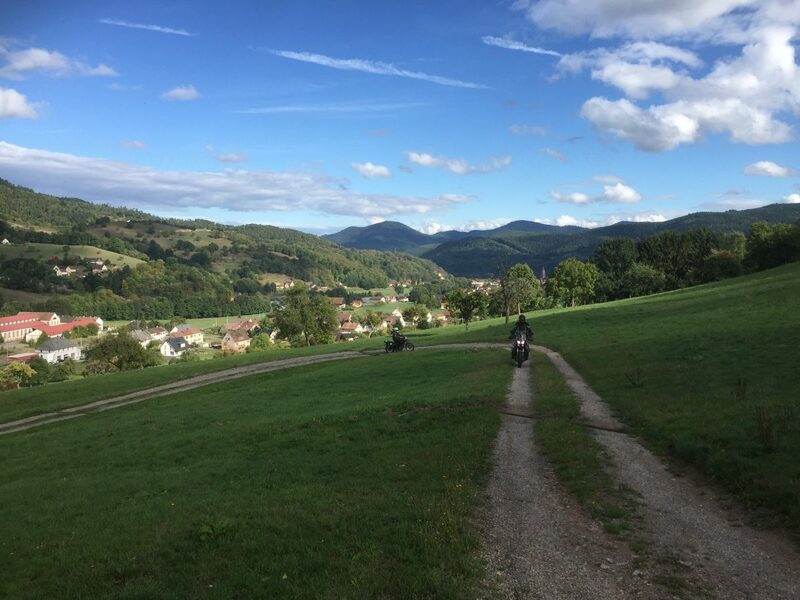 As of today, seasoned motorcyclists will see that there are more and more difficult to drive curves in the Alsace than on the other side of the Rhine, and one wavy line of mountain pass joins the next. 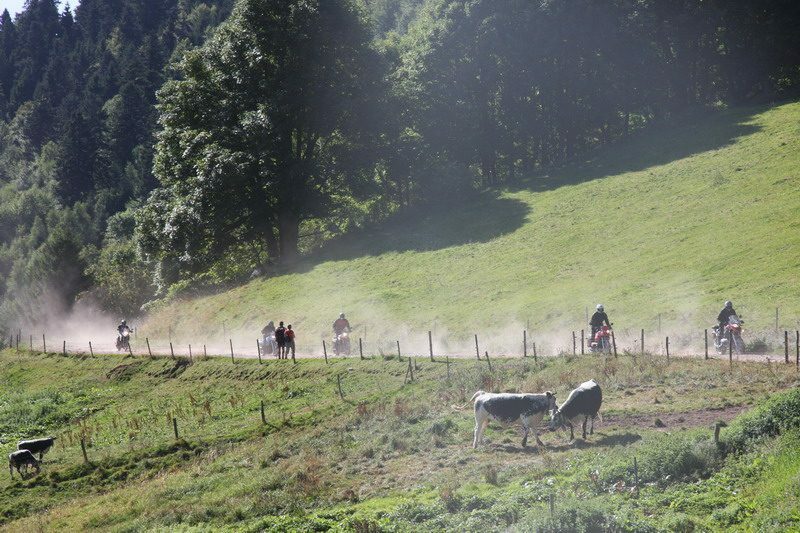 We wind our way across the east side of the Vosges to the north. Again, distances can not be expressed simply in kilometers, but the driving time must be taken into account. Over our “house pass” we sneak back in the evening to our base, where a princely 4-course menu awaits us. 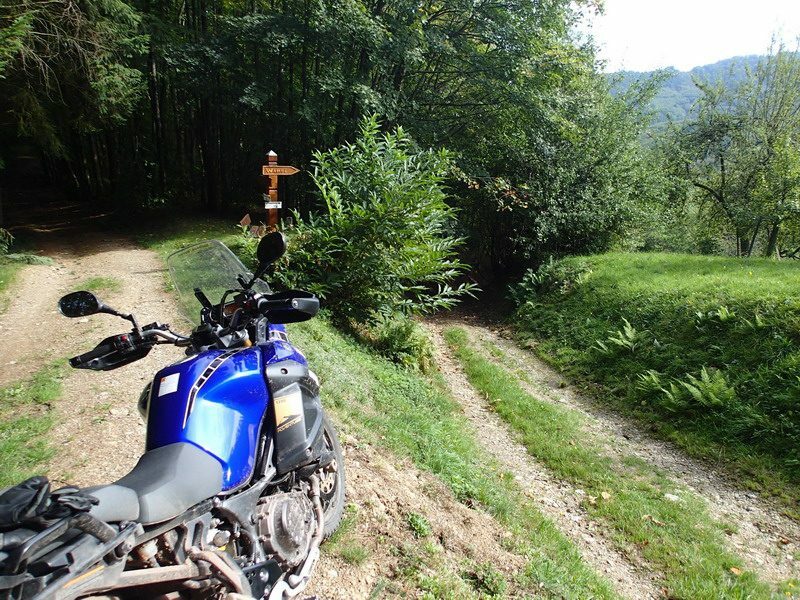 Today, we set our wheels on the southern and highest part of the Vosges. But we do not roaming around the well-known streets, because in the Parc Régional des Ballons there are lots of small and wild passes, which are partly still gravelled. The lunch break on the Ferme Auberge with a hearty snack is good to relax for a while. Looking for a view? The Petit Ballon can not be missed, as from here the Black Forest and the Swiss Alps can be admired in clear weather. After a small final debriefing at the hotel, unfortunately, our paths are already separated. 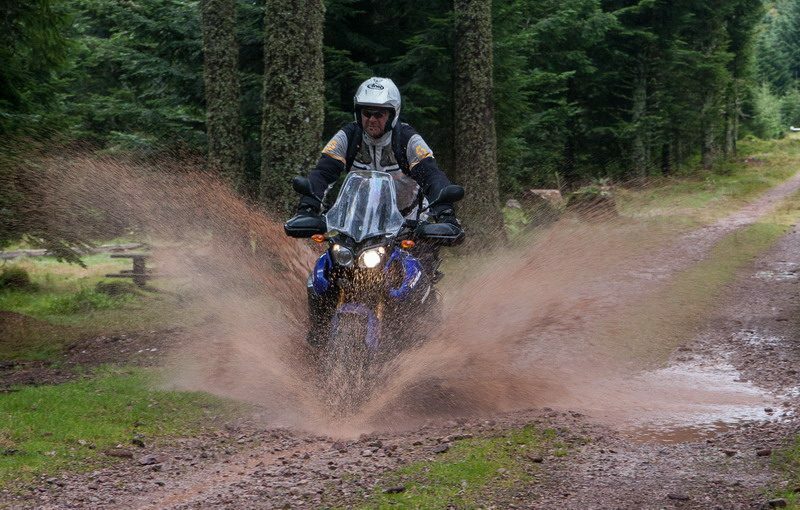 Approximately 600 kilometers, 40 % off-road, day stages 160 – 230 kilometers. As already said – curves, curves and again curves. And, of course, curves of the kind endurists love and drivers of sport touring motorcycles don’t love. Often narrow, partly with proper bumps, and sometimes also gravelled. And 1000 m cumulative elevation gain from the Rhine Plain to the peaks of the Haut-Rhin department promise not only fun on the bends, but also gigantic views. The gravel roads of this tour are chosen so that they can be driven by endurists with heavy machinery. 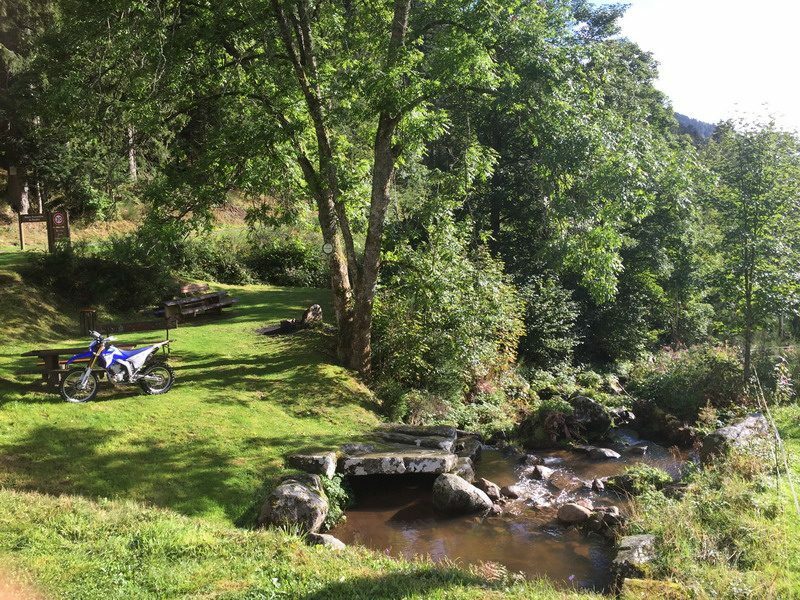 Off-road experience in the form of a training course or a number of kilometers driven on gravel is helpful, but not essential. Not to be underestimated are the Alsace roads, where you swing the whole day from curve to curve. So, solid basic driving, good cornering technique and finally also perseverance are required. No tour for absolute beginners. We are on the way on gravel roads, not on the Gilles Lalay Classic. With the serial tire the non-asphalted sections are thus easily feasible. If it rains, we may take detours for some offroad pieces. 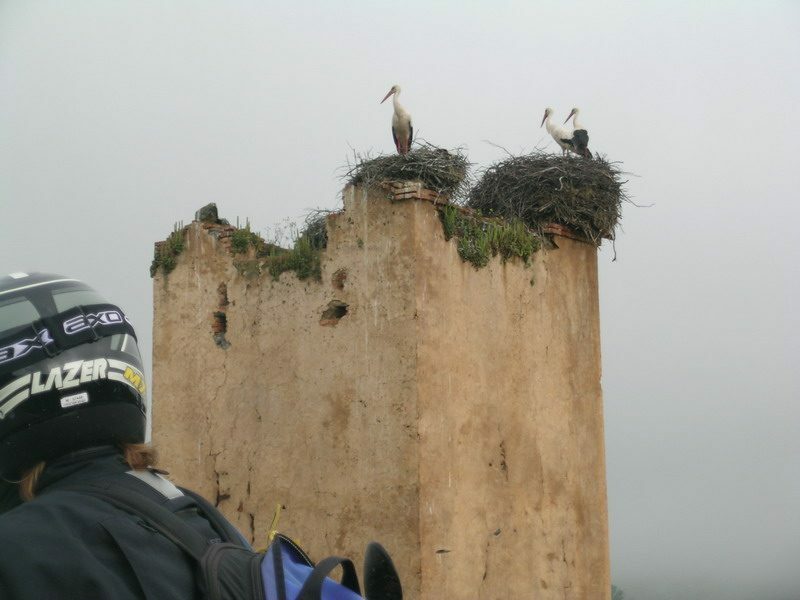 Our tours are designed in such a way that there is as much room for individual development as possible. For this reason, as with all tours, we have compiled a roadbook. With this route plan on the handlebar, you navigate to the day’s destination. Just look for your preferred partner at the beginning of the tour and go along with him through thick and thin. When and where breaks are put in or how you organize the day is up to you. Only for dinner we would gladly to have you all together. But do not worry – we’re on the road with you. 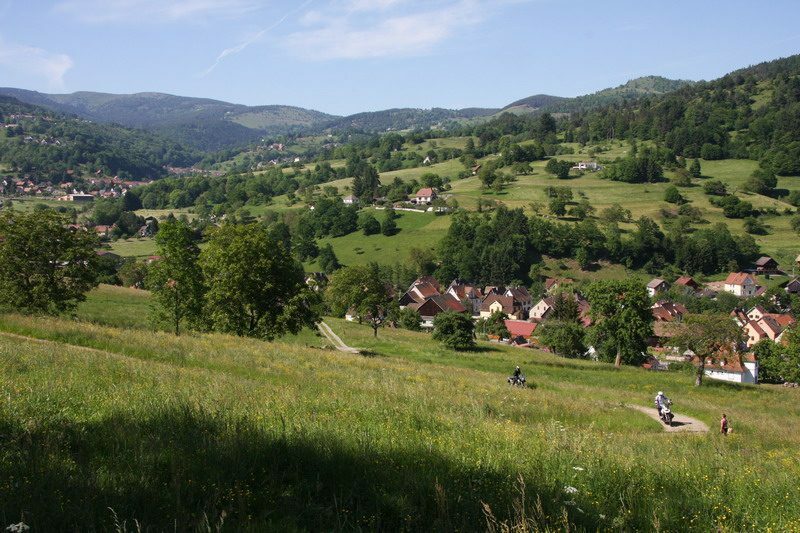 Our basic accommodation near Colmar in the Middle Vosges is a family-run hotel in typical Alsatian style. This means driving without luggage, because we will spend both nights here. We are accommodated in double rooms with shower. 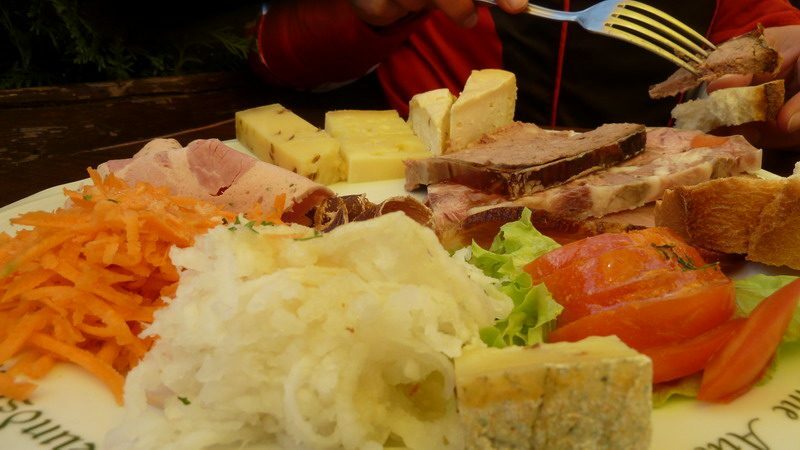 In France, you take plenty of time for the meals – especially in the evening. 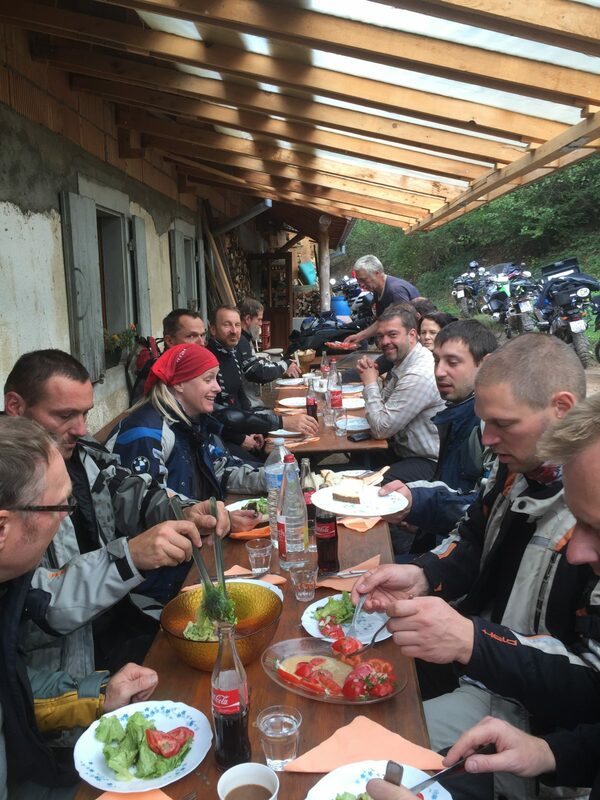 We adopt this habit, because after all, the numerous experiences of the day can not be told already at the first starter … On the other hand we will do without a lavish lunch, since a full stomach is not good for Enduro driving. There is an ample breakfast and extensive menus in the evening. And for the small hunger in between we spent some time in Ferme Auberges or bars on the edge of the road. 2 hotel accommodations in double rooms, half-board, Roadbook introductory course, tour guide, technical support, travel security note.